It’s not often you walk into the lobby of an Orthodox synagogue and find someone playing a steel drum. Yet continuing on back into the social hall, it was like being transported to another time and place. With the Aron Kodesh (Holy Torah Ark) protected lovingly in the sanctuary nearby, Etz Chaim Synagogue was converted into Margaritaville, the infamous epithet expressed by Jimmy Buffet in his 1977 ode to Key West. During the festive event, glowing surfboards adorned the inside walls, a tiki bar with large swings took over the back porch that would normally hold a sukkah during the High Holidays, sand was brought into one section of the porch-turned-beach, and even heaters helped ensure party goers weren’t affected by the frigid temperatures that had taken over Jacksonville and much of the country. With three bars — one for beer and wine, one for liquor drinks, and one, of course, for two types of Margaritas — socializing became easier as attendees got to know people from throughout the community who had gathered for Etz Chaim’s annual gala, their biggest fundraiser of the year. Food included traditional island fare — sliders, veggie burgers, salad and desserts, as glowing buckets of beer adorned the round tables. Thanks to organizers Steven and Deborah Shapiro, no detail was left undone, including the live band, caricature artist and professional photo backdrop featuring parrots and straw hats. Previous years’ themes included New York, New York, and Casino Night. In addition to its annual gala, Etz Chaim is known for its abundance of classes and outreach throughout the year. Indeed, they host hundreds of learning opportunities of all types. Rabbi Avi Feigenbaum has served as the synagogue’s education director for the past five years and is known throughout the broader community for his inspiring classes that attract Jews of all backgrounds. 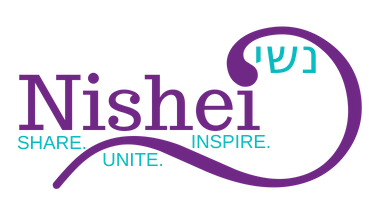 And efforts are growing thanks to the new Jacksonville Community Kollel — rabbis who moved here from Israel with the purpose of bringing even more elevated Judaism to Jews of Jacksonville. “We try to get a broad spectrum of the community to the event, and this year was no exception,” Rabbi Feigenbaum said. And part of the beautiful irony of the Margaritaville-themed gala, named for a song about wastin’ away while baking in the sun, is that it has the partial purpose of raising funds so that people can do the opposite — to learn to live a more purposeful life, full of inspiration and growth. While Jimmy Buffet may have been searching for his lost shaker of salt, the leaders of Etz Chaim, with help from events like Margaritaville, are making sure no Jew is ever lost — they’ll always be welcome at any class, program or service and can come just as they are. “The people are friendly and engaging, and they make me feel comfortable, like Rabbi Fisch and Rabbi Feigenbaum, and the other people I meet there,” said gala attendee Paul J. Reed with Watson Commercial Realty, Inc. Originally from Michigan City, Indiana, Reed moved to the area five years ago and began attending Etz Chaim last year. “I’m learning more about Judaism, and this has been the ideal place to do that,” he said.